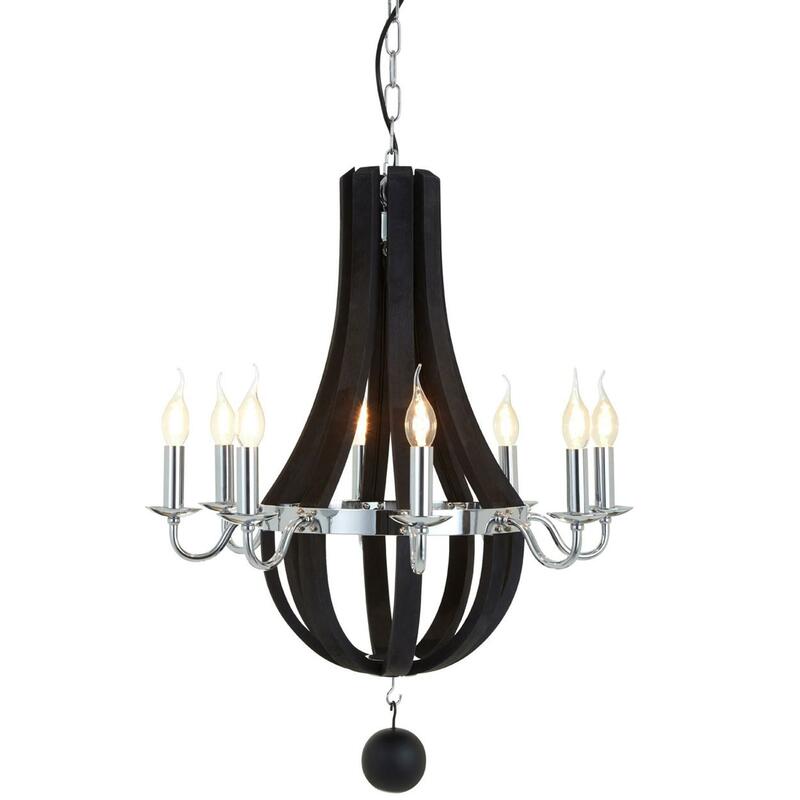 Add a unique and elegant style to your home by introducing this magnificent Black Kensington Townhouse Chandelier. This piece features a smooth eucalyptus wood to recreate the traditional basket design, perfectly curving to create an art-deco inspired shape. This piece has then been given candle-like bulbs to add a sense of elegance, alongside a black colour to tie it all together.